A rare opportunity and with no upward chain! 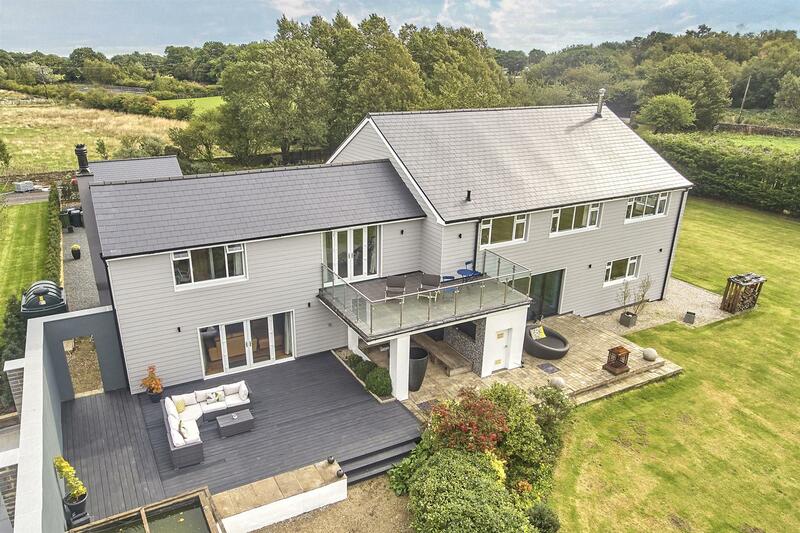 We are delighted to offer for sale this exceptionally well positioned and extremely well presented, commanding and substantial detached family residence which offers approximately 4400sq ft and is set within approximately 1.6 acres of grounds in this semi rural setting surrounded by open countryside. 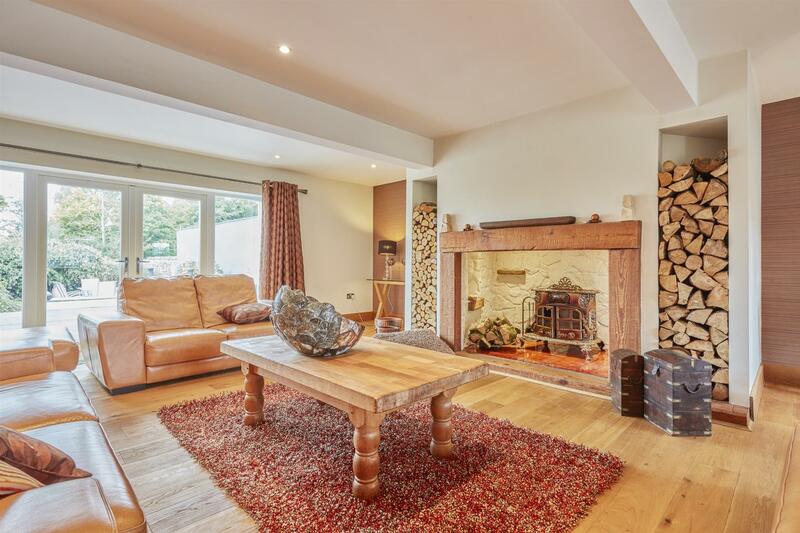 A property that offers privacy and seclusion yet is well positioned for commuting with Leeds Bradford Internation Airport and Horsforth train station two miles away, . There's easy acccess to Leeds, Bradford, Harrogate and York centres too. 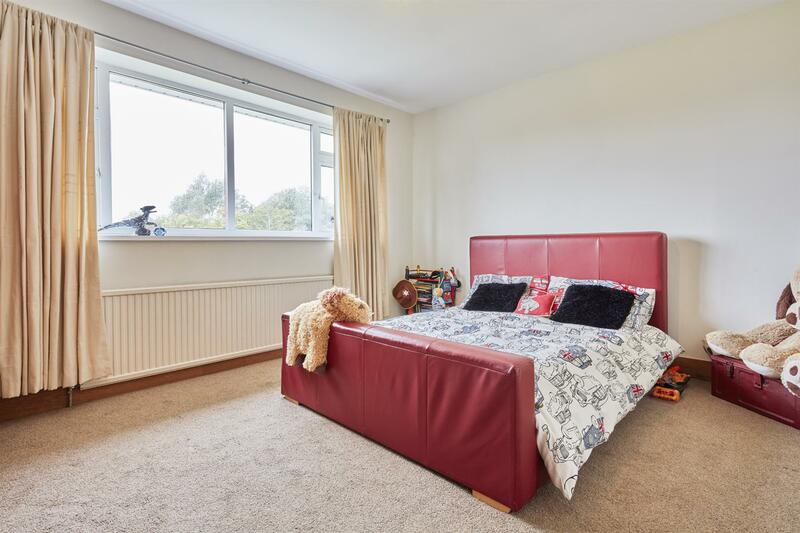 With extensive reception space which is planned perfectly for modern living, which is complemented by five large double bedrooms and four bathrooms. 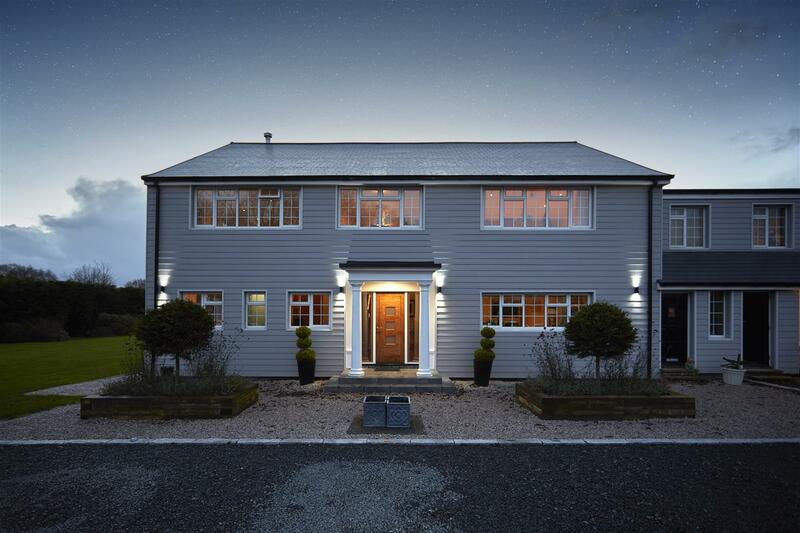 Finished to extremely high specification throughout and offering stylish, modern and contemporary finish this property must be viewed at your earliest convenience. Benefitting from two large reception rooms, a stunning living/dining kitchen, formal dining room, guest WC, study and utility to the ground floor and four double bedrooms, two with luxury ensuite bathrooms, a fabulous master suite incorporating a great size bedroom, comprehensively fitted dressing room and luxurious ensuite bathroom with free standing slipper bath and large walk in, walk out shower. 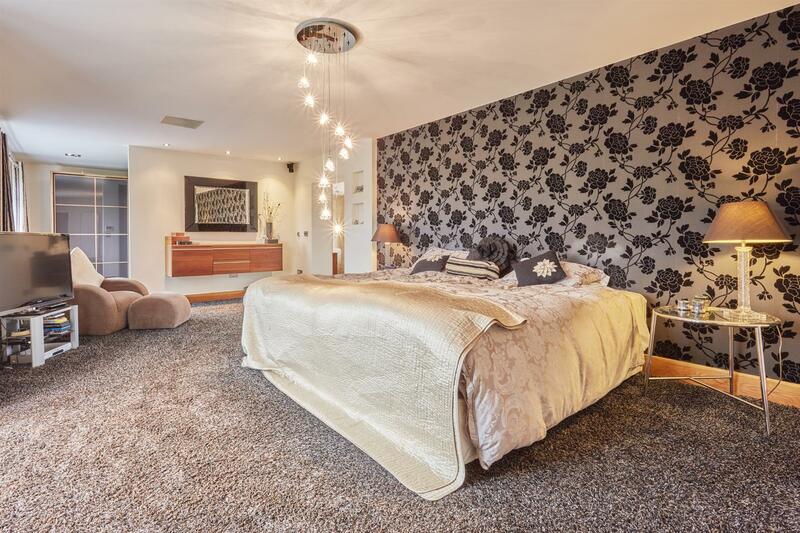 A versatile gym/make up room and generous house bathroom with Jacuzzi style bath and large walk in shower complete the first floor. The grounds offer views rarely found, and encompass a large terrace, balcony from the master suite with elevated aspect and a large level mature lawned gardens all enclosed. 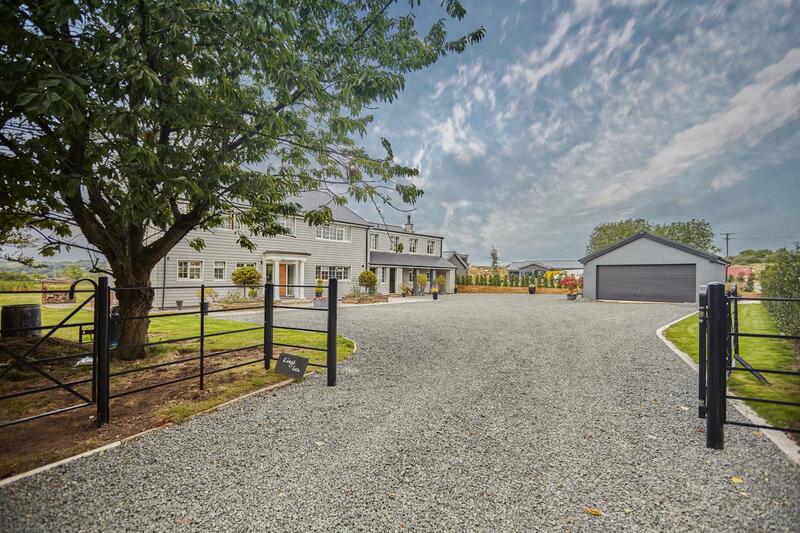 There’s a large parking forecourt and detached double garage. A unique house with a contemporary style. 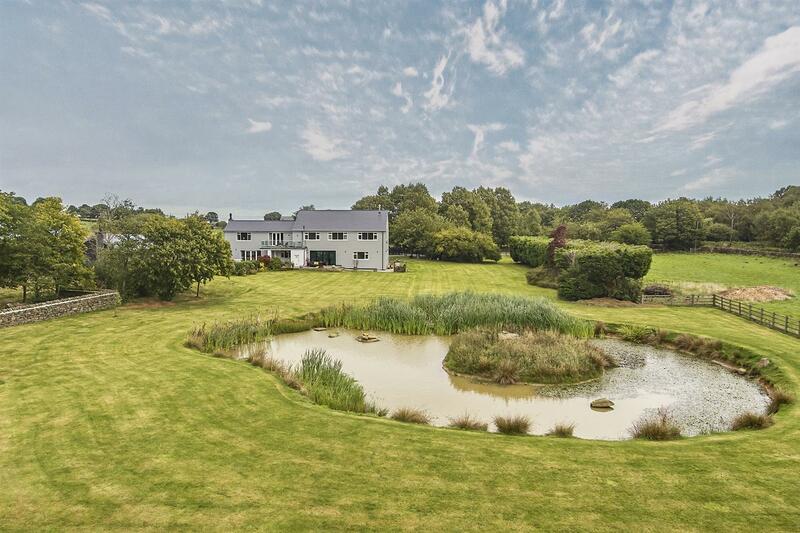 So much on offer in such a tranquil and private setting! 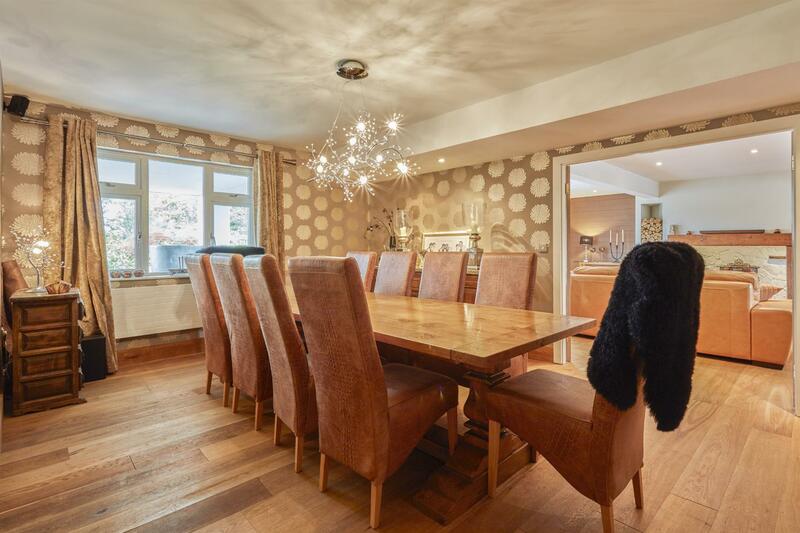 This home is ideally situated for access to Otley Road (A660) and the Ring Road (A6120) thus making commuting straight forward. Nearby Bramhope village offers a selection of local shops, a welcoming local pub and there is a popular village primary school. 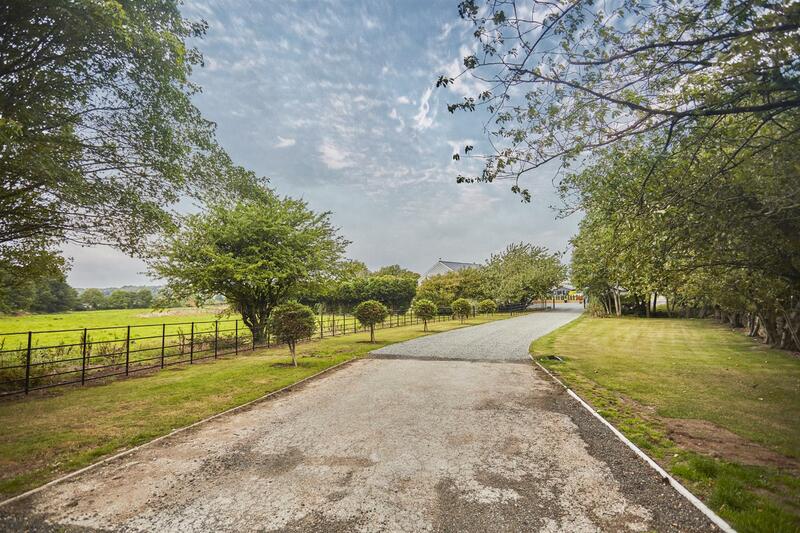 The property is within easy reach of some beautiful countryside, Cookridge Hall and Golf Club, Nonegoby Farm and the famous Golden Acre Park. 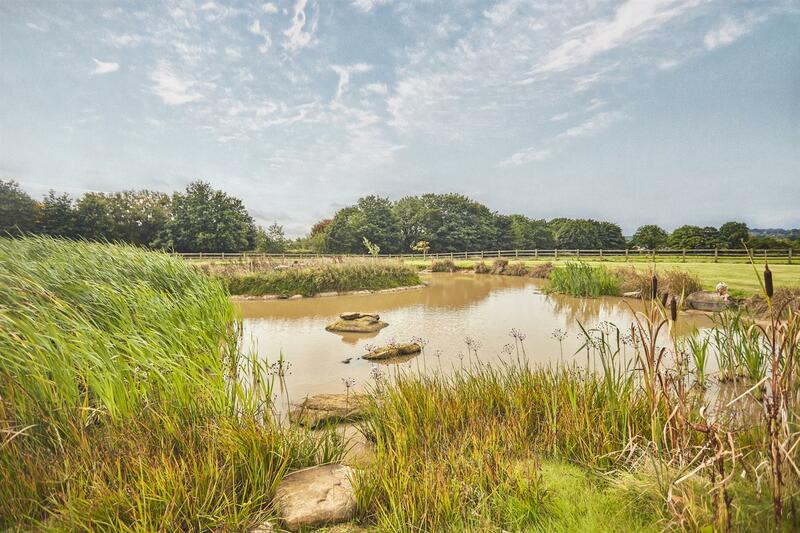 Leeds, Bradford, Harrogate and York are within comfortable daily commuting distance. Public transport facilities are good by bus or rail from the Horsforth Train Station located at the bridge on the Horsforth/Cookridge border. Horsforth village is just next door where a vast range of shops, supermarkets, public houses and restaurants can be found. 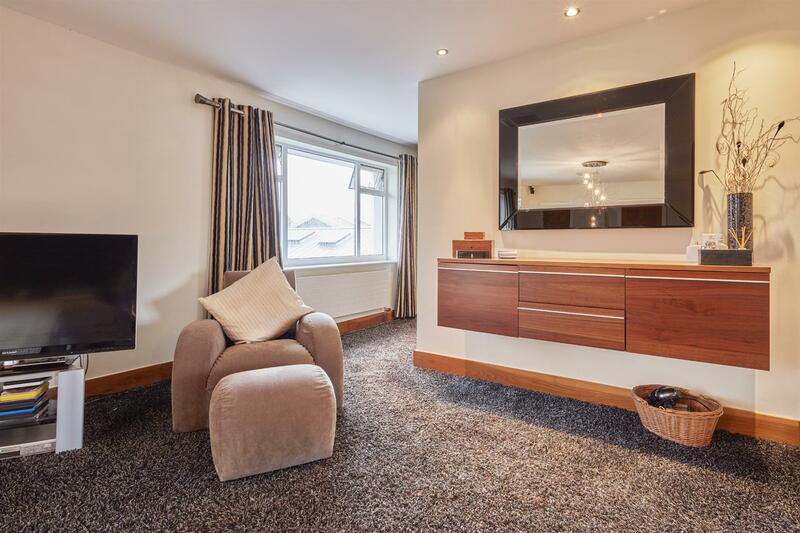 With a modern, stylish and high specification two piece suite, recently fitted and fully tiled in modern ceramics. Chrome heated towel rail. 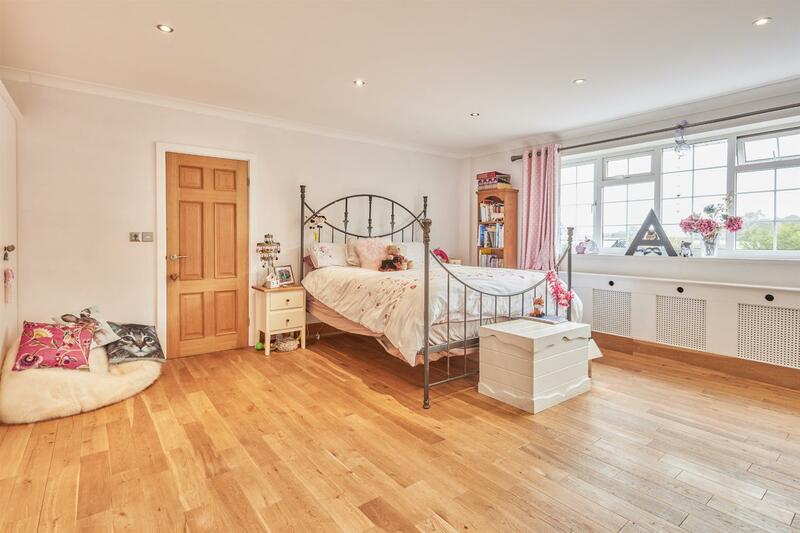 Essential space for a busy family home. A generous study tucked away offering excellent privacy and with dual aspect to the front and side elevation with pleasant outlook. A quiet and peaceful place to work yet offering versatility too if required. 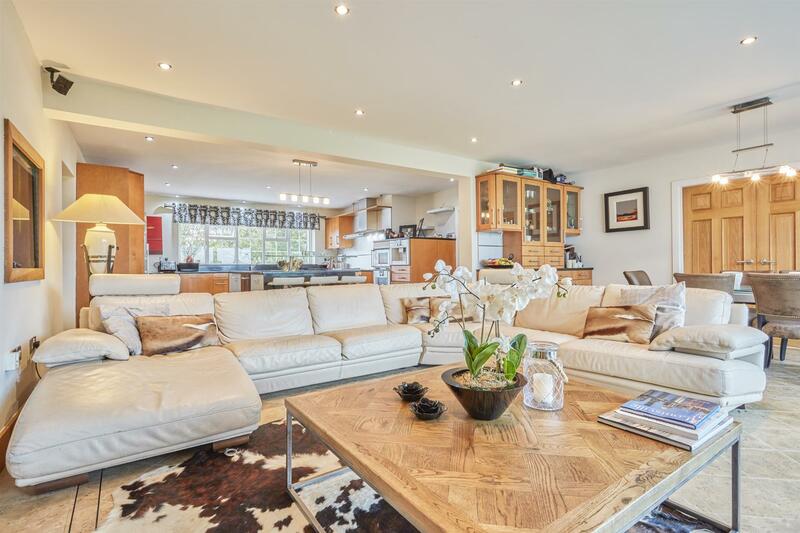 So much space and designed for modern living with a large dining/sofa space and comprehensive fitted kitchen. Bifolding doors to the living/dining area really do 'bring the outside in' and with a large patio area to the immediate rear! Alfresco dining and entertaining family and friends is perfect with such a wonderful setting! 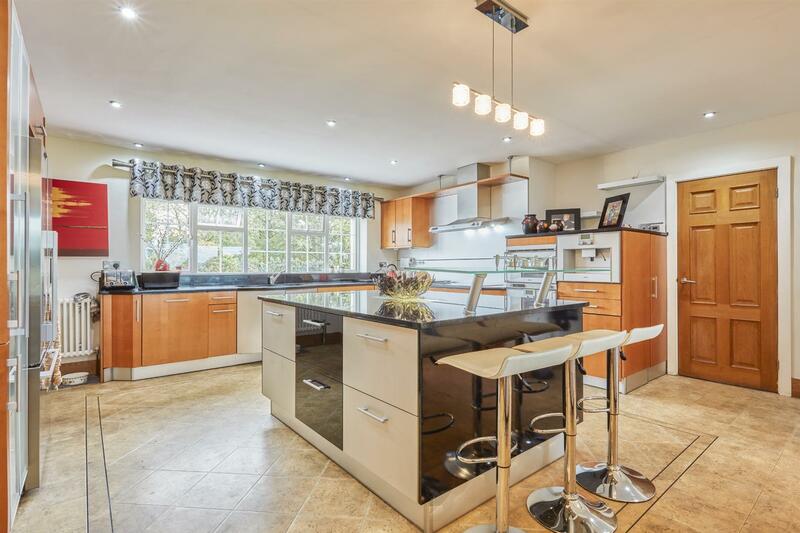 The kitchen offers ample storage space with granite worksurfaces and stainless steel features. 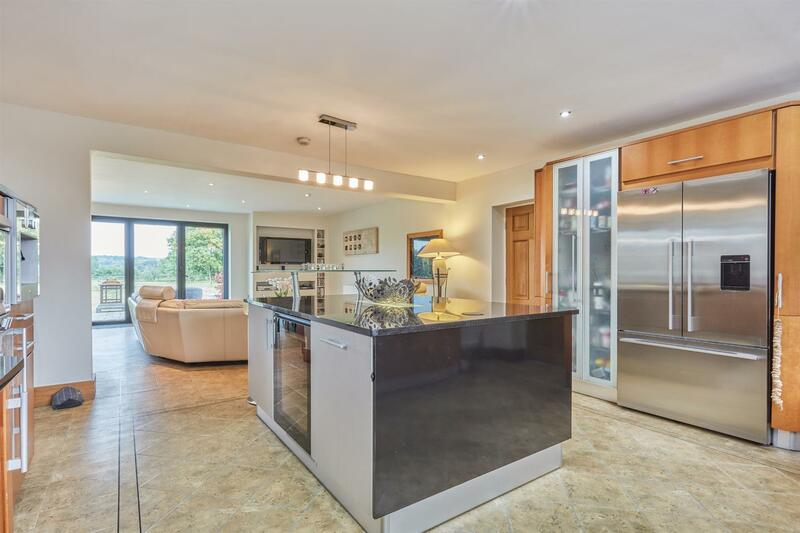 Integrated appliances include a dishwasher, Gaggenou coffee machine, steam oven, oven, five point halogen hob and extractor over. 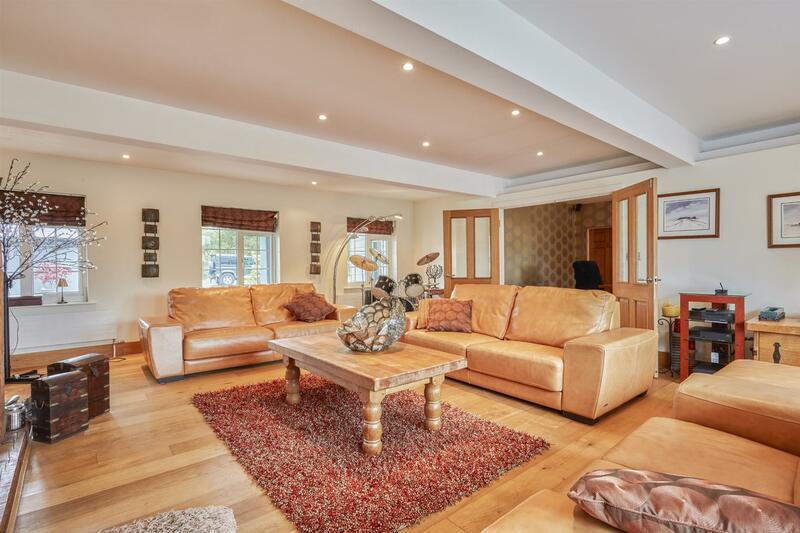 A truly stunning family space to the rear of the property and with access out to the feature grounds with open fields beyond! Another necessity for the busy family home! 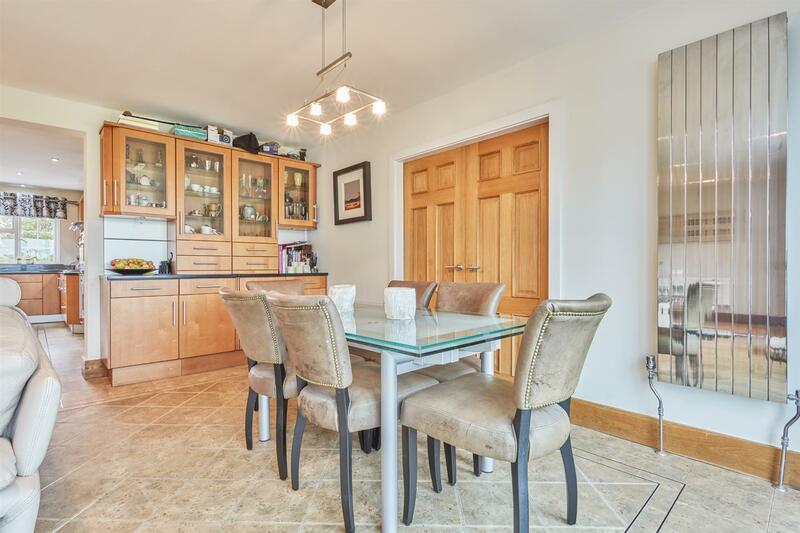 A generous space with a range of fitted units, plumbing for a washing machine, sink and mixer tap and with a tiled floor. Window to the front elevation and door out to the front too! 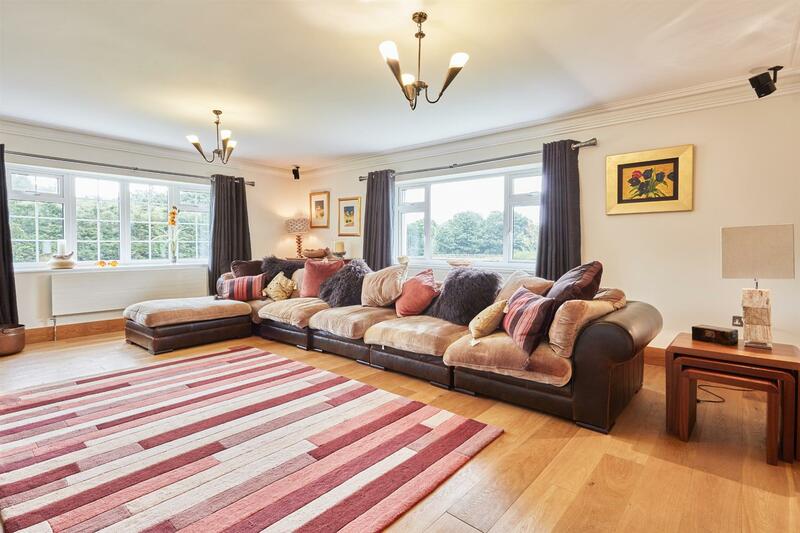 A large, beautiful ad peaceful room with a light and airy feel! 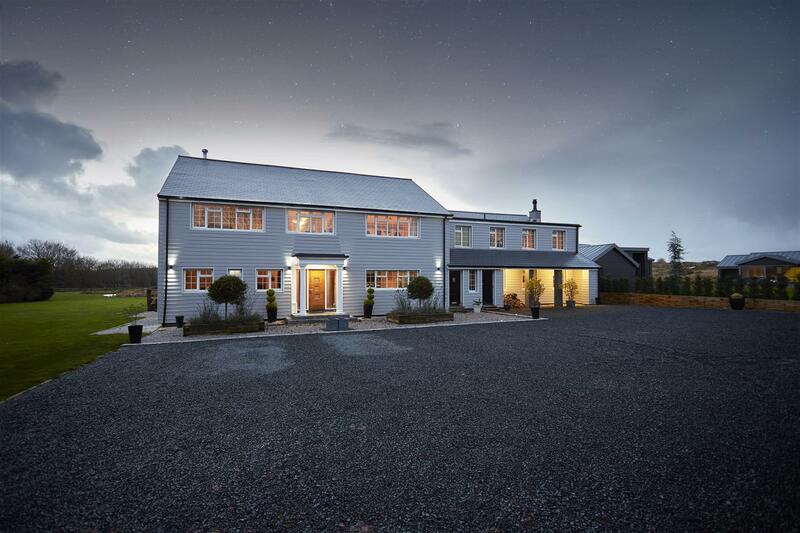 Dual aspect to the front and rear elevations and access out to the large terrace to the rear. Feature decor to the alcoves and large feature fireplace housing a multi fuel stove sat on a ceramic hearth and with a timber surround. 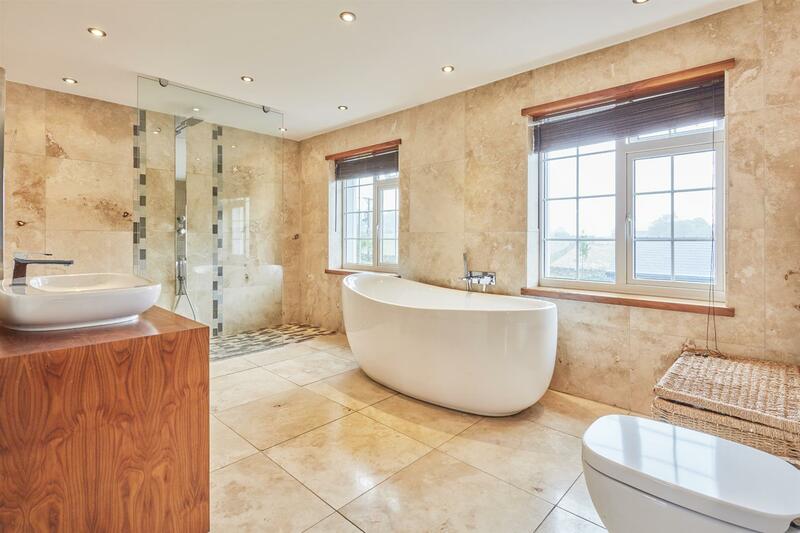 A great space with luxury and quality finish incorporating a large walk in shower with contemporary feature, generous bath, floating WC and wash hand basin. Travertine tiling to walls and floor, underfloor heating and heated towel rail. Incorporating a large bath with shower over, WC and mounted wash hand basin on a timber plinth. 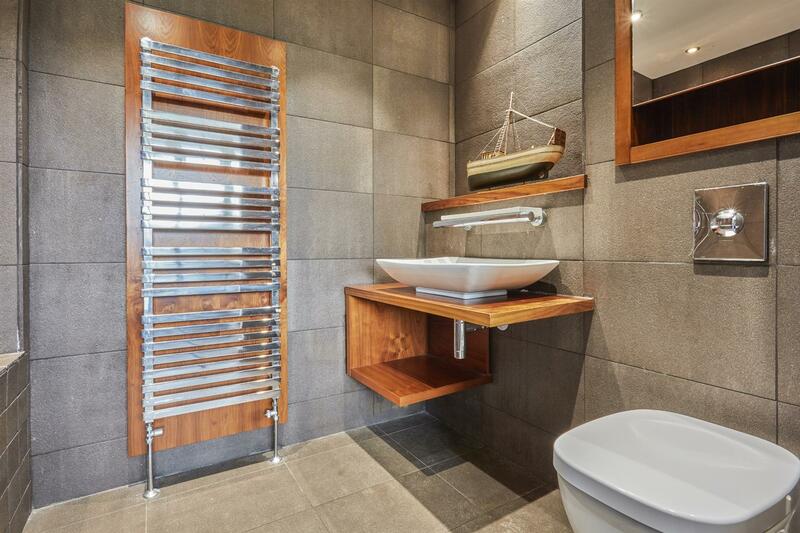 Fully tiled in modern grey ceramics and with a chrome heated towel rail. 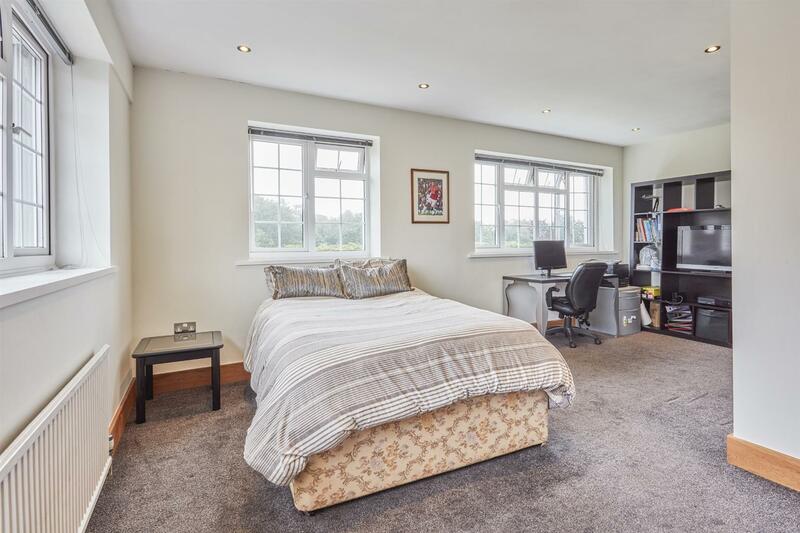 A further good size double bedroom to the rear of the property so benefitting from those wonderful views and with a quiet setting! Dual aspect, so, again lots of natural light. 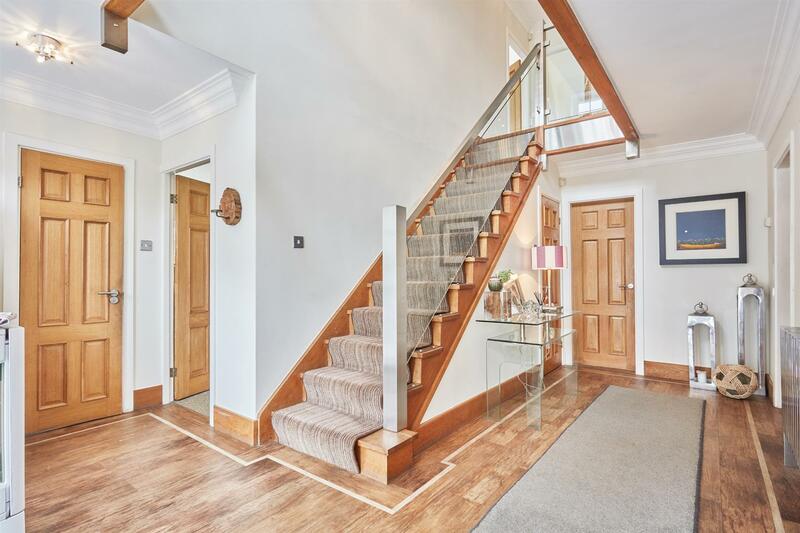 A double bedroom to the rear of the home with that wonderful outlook to the rear elevation. 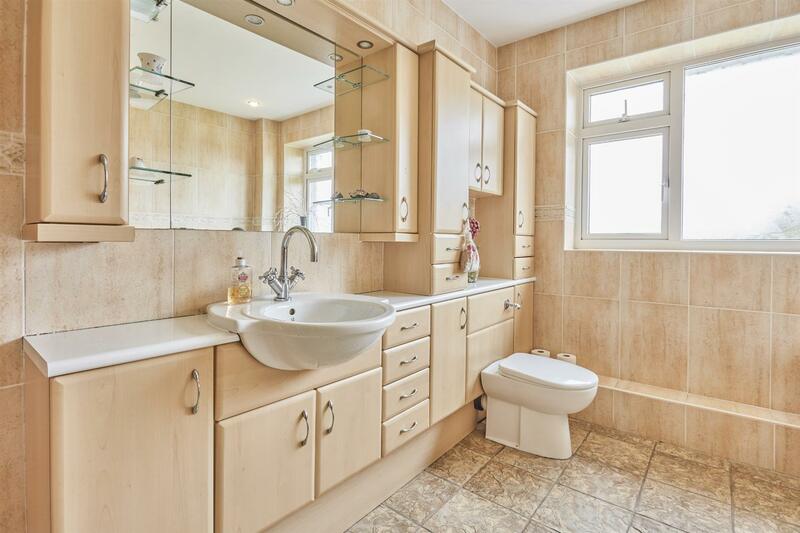 A large, traditional house bathroom with a good size walk in shower, generous Jacuzzi style bath, comprehensive vanity unit with inset basin providing useful storage and worktop space and WC. 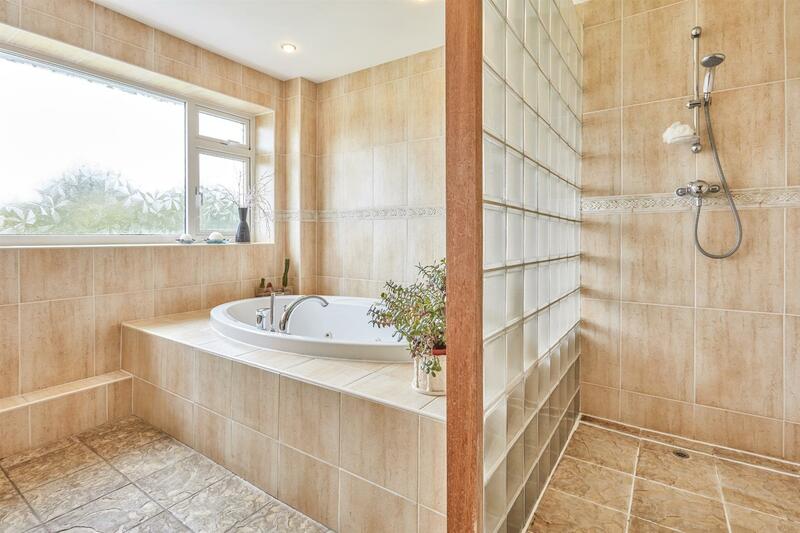 Fully tiled in quality ceramics and with a window to the rear elevation. 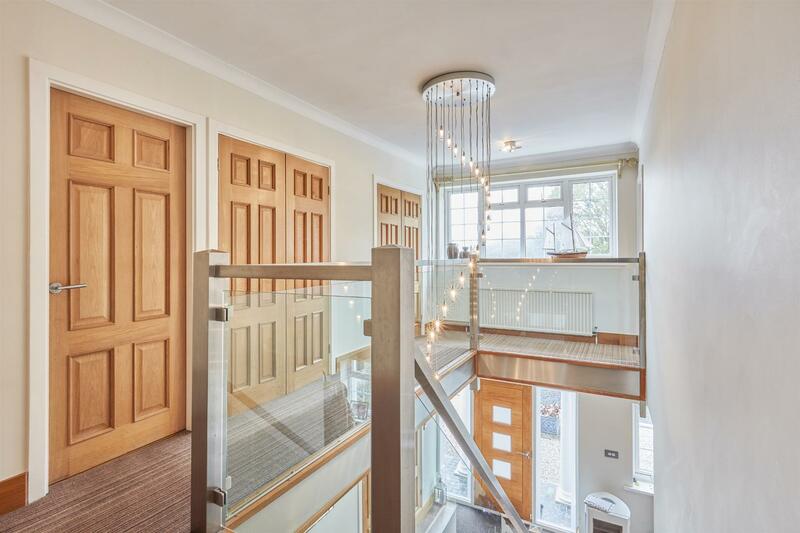 Fitted with a comprehensive range of designer style fitted furniture and with access to the loft. 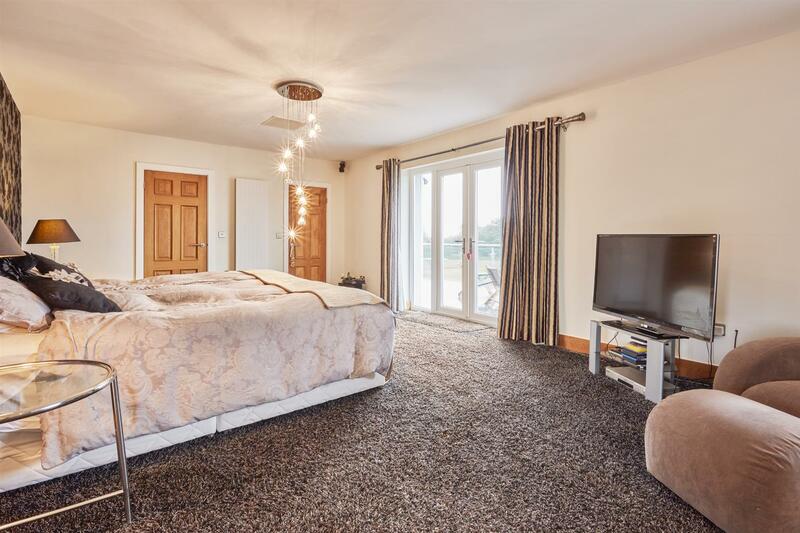 A fantastic size with aspect to the front - the perfect space for relaxing with a free standing slipper style bath tub, large walk in, walk out shower, generous basin and WC. Fully tiled in large ceramics and with inset spotlighting. A useful, versatile space! Previously used as a gym and with modern presentation. 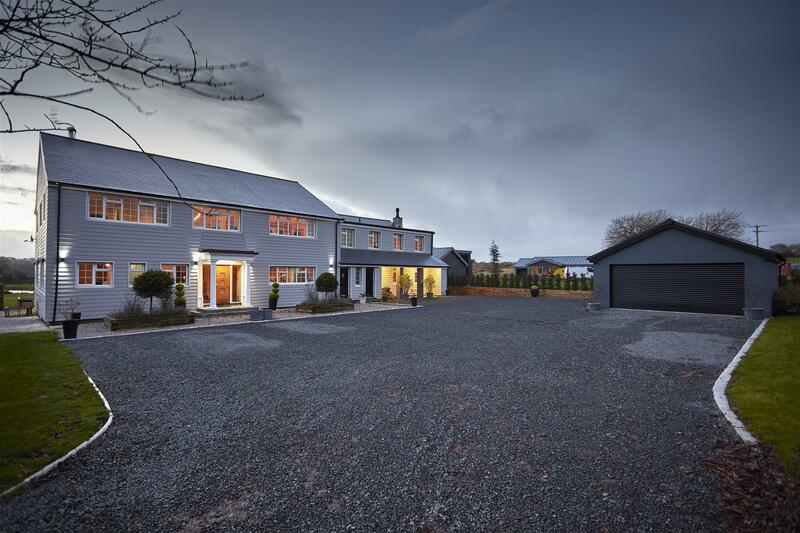 This property is one of only two luxury and contemporary houses access off this private driveway. 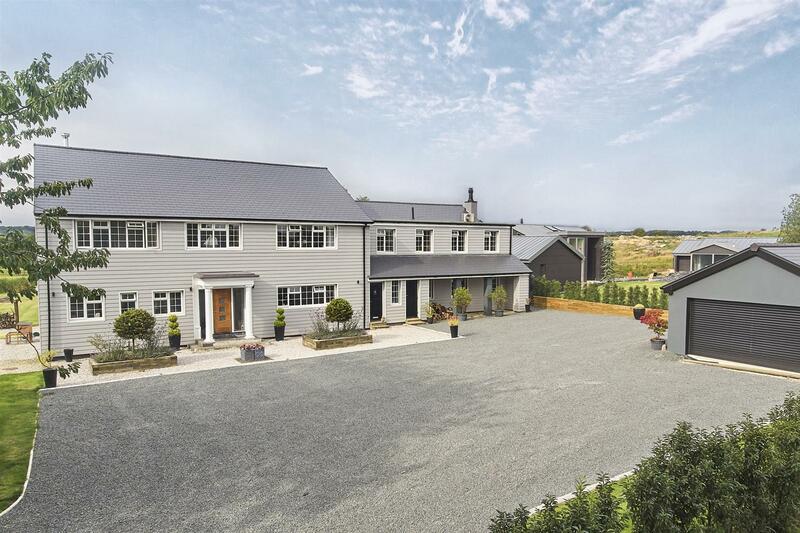 As you peel off the drive, the parking forecourt is gated and extremely large giving a generous frontage and more than ample parking. 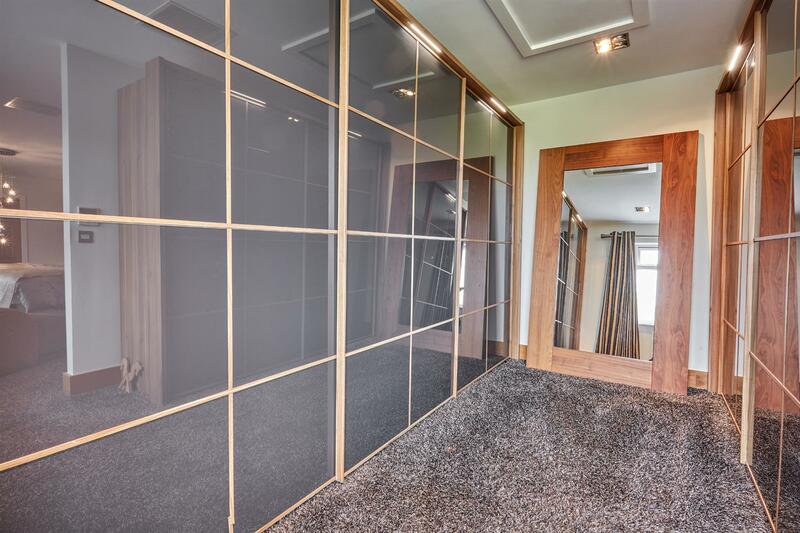 There is a recent double garage with electric roller shutter doors. 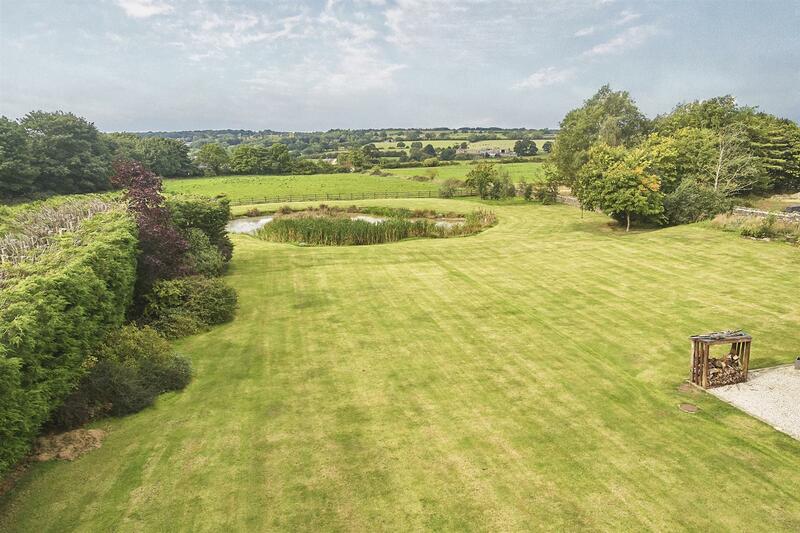 The grounds are truly fabulous and we understand, extend to approximately 1.6 acres in total. 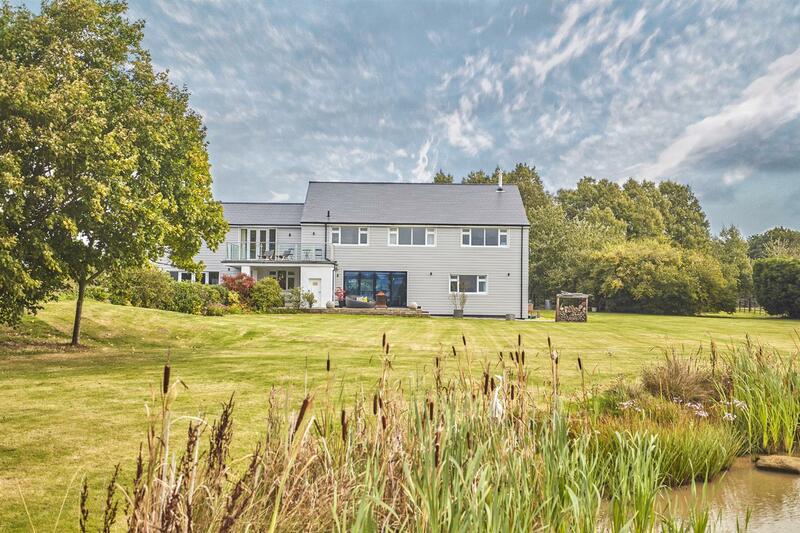 The rear garden in particular is a real feature with a pond, large, level lawned garden, terrace off the Master Suite and large patio area off the Living/Dining Kitchen. Mature planting offers excellent privacy and outside lighting is well planned and offers a delightful setting on an evening! 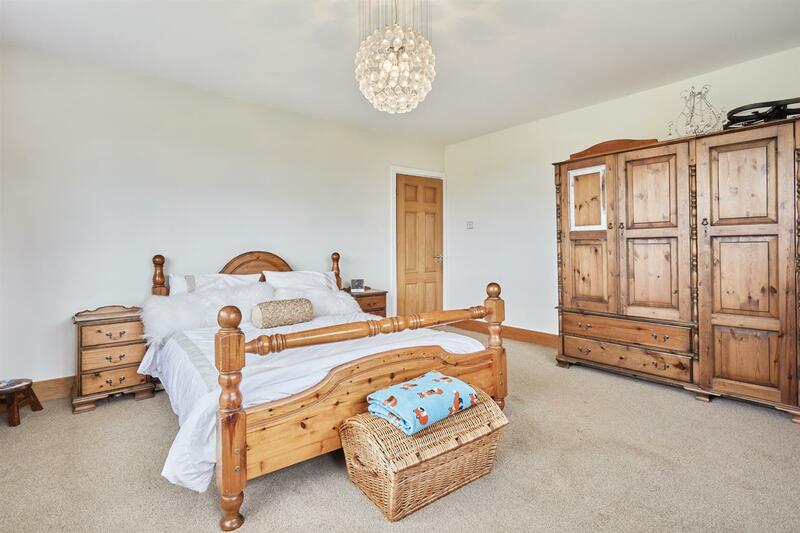 There's so much space for children to play and for parents to entertain family and friends in such a quiet, tranquil setting!